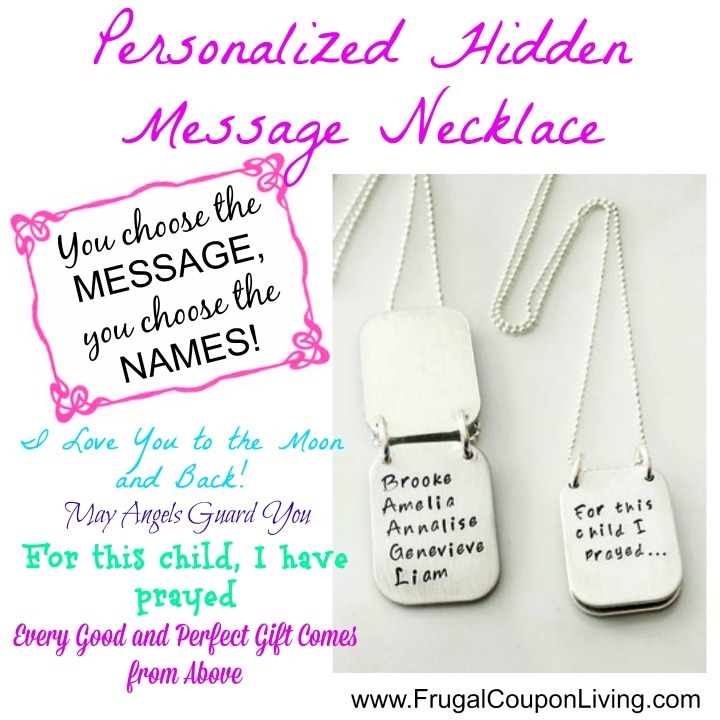 Get a Personalized Hidden Message Necklace for only $19.99 plus get FREE shipping! Originally $40. This would make a perfect Mother’s Day gift. Choose between sayings like “May Angels Guard You”, “For This Child, I Have Prayed”, plus more… Really YOU Cget to choose. You also get to choose the names on your necklace. Our Hidden Message necklace features two stamped rectangles that lay on top of each other. They hang from an 18″ stainless steel ball chain. You can personalize both rectangles however you would like. I would consider a bible verse, a quote that is your mantra and more. Very cute and unique gift for a friend, mom, or someone else!